Preheat grill on setting #4. In a large bowl, stir together pesto, olive oil, lemon juice and zest. Toss with chicken wings until coated. Grill, covered and turning as needed, for 20 to 25 minutes or until cooked through. Arrange chicken wings on a platter; sprinkle with Parmesan cheese. 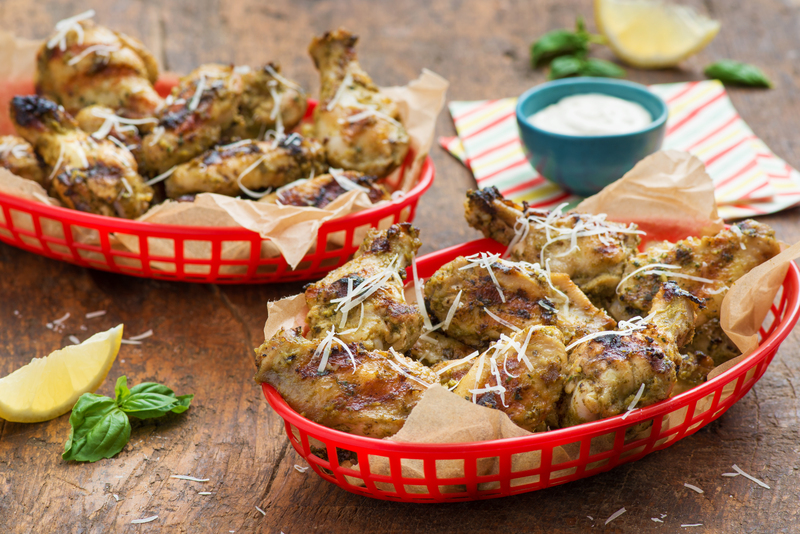 Tip: Add a pinch of hot pepper flakes to the pesto mixture for chicken wings with some bite. Tip: For a zesty dip, serve the chicken wings with a blue cheese dipping sauce.